Hardcat’s CMMS application is available as an on-premise as well as a web-based or cloud-based software. Even so, it is also available as a CMMS App. Hardcat is best suited for small and medium businesses looking to manage standalone equipment, complex assembly or individual component. The starting price point is £3000, and this includes a basic system for 2 desktop users and 1 smartphone/mobile user, 4 modules of your choice and 12 months free support. Top users of Hardcat are from Law Enforcement, Emergency Services, Defence, Healthcare, Education, Hospitality, Telecommunications and Financial Services. Create work orders based on maintenance tasks as well as a planned and preventative maintenance program. Define detailed instructions for carrying out work orders. Work orders can be printed and viewed on the MiCat mobile app which is available on Android and iPhone ecosystem. Include work orders as part of a project. Easily review your work order book by dates, resources, location and equipment types. Create template based work orders for most common maintenance scenarios. Manage your work order book with built-in escalation rules. Route maintenance alerts based on competence and availability of technical resources. Plan your maintenance programs using equipment and asset register. Track any planned maintenance activity and compare planned cost + time against actuals. Easily inspect historic maintenance activities and relate them with future maintenance plans. Create templates for different work order scenarios. Trigger maintenance program based on time or machinery information. Work order book can be inspected for planned and overdue jobs. Data from sensors can be imported/used for scheduling your planned and preventative maintenance activities. 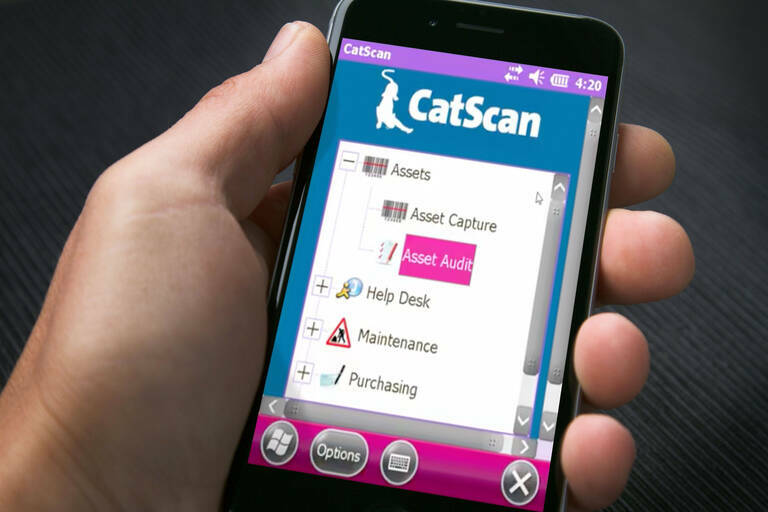 Hardcat takes an equipment tracking perspective to maintenance management. It offers asset audit services which are very useful for regulatory industries. The product is modular, which means you can start with specific applications and expand into other business workflows like asset tracking, depreciation, purchase order and inspection. API Integrations with SAP, Oracle, Sharepoint, Maximo and Others. Hardcat can serve as a standalone maintenance management product. Or you can add additional modules to address your finance, procurement, service and asset tracking requirements to create your enterprise asset management solution. Web-based access – Hardcat provides web-access to their on-premise product for out-of-office and web-only users. Implementation Methodology: The product is implemented by Hardcat. Typically, an asset audit is undertaken before the system is implemented.